After seeing this my thought would be to sign up, and hopefully another avenue for income. Any thoughts on shooting for houseLens and what they pay the "photogs" on the back end? They are out of Nashville, TN, so you know they can't be everywhere! Go to website and sign-up. I saw somewhere people asking about shooting for them, so I would assume they have been reaching out to people. This is what I received when I inquired a while back. If you look at our pricing on http://www.houselens.com/pricing/, a safe way to ball park the artist pay is to calculate 30% per shoot. We pay slightly higher than that, but it's a good way to quickly calculate approximate pay. If you do that, you'll see that a photo only shoot for under 3000 sq ft, will pay around $50. If you are certified for photo, video and 3D and had a triple play shoot, that same house could bring you $150. About 80% of our business is for photos and video - if you had a double play for that size house, it would pay $70. I didn't think this was worth while, but it might be for others! People thought that snafu in San Francisco was a bad deal. That looks beautiful compared to this! I hope for those prices they supply all the equipment. I would think giving them $50a photo shoot might be high but they want to give that to the photographer? Just crazy! 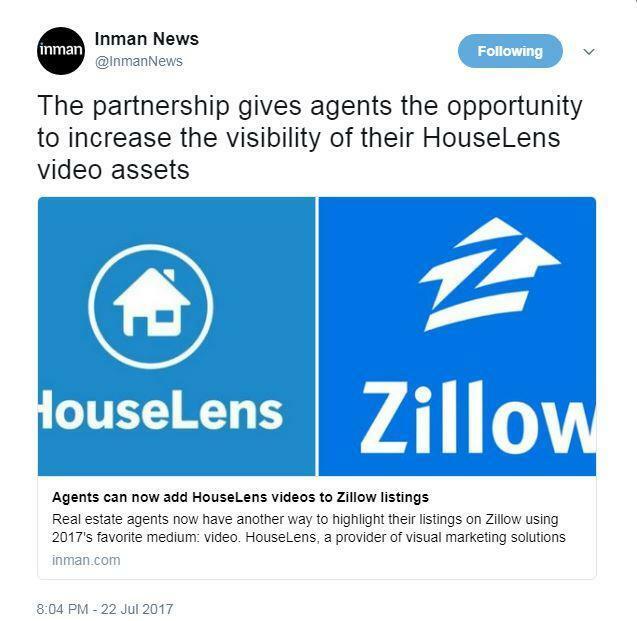 You will notice it is a news story that says Houselens is now doing Zillow video walkthroughs same as anyone else can do. This is Houselens being smart with their marketing. Make sure you understand that before jumping to conclusions or feeling threatened by the announcement. Never felt threatened because I wouldn't work for those prices. It is a great marketing move on their behalf but crappy on the cheap pay! Yes fake news and Houselens should be ashamed of themselves for paying as little as they do! Yes anyone can do this so you don't need houselens and that's what Zillow wants, anyone that has a cell phone.....like agents. They want us pros to lower our standard and take video's using a cell phone to help market their feature. The idea is if they all look like simple amature clips they'll get more people trying it out i.e. the homeowners or agents. You'd think they'd allow a mixture of professional clips to improve the content but they don't. Since it has to be uploaded from a cell phone, I uploaded a recording of my professional $2000 video playing on my computer screen, it actualy looked pretty good considering. Within 48hrs I got a notice from Zillow that it was taken down because of the professional content. Don't waist your time. That is sad and funny all at the same time.